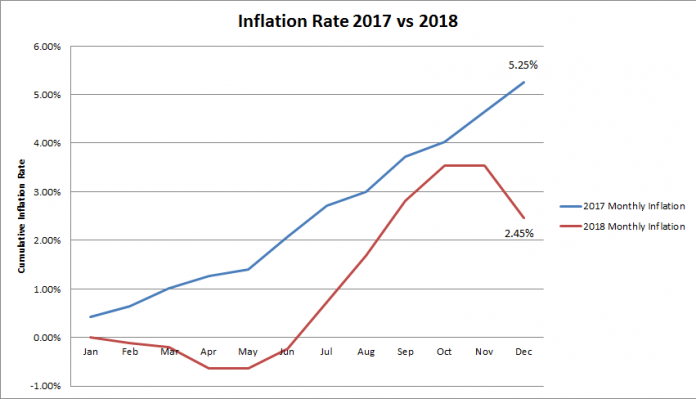 Inflation is calculated as the change in the Consumer Price Index (CPI). The CPI is defined by STATIN (the Statistical Institute of Jamaica) as a basket of goods typically purchased by the Jamaican consumer and can therefore be used as a reliable indicator of the movement of prices in Jamaican society. The prices vary from town to town, parish to parish, but the monthly percentage changes in this chart are a national indicator. The methods used by STATIN are continuously updated in order to maintain international standards. 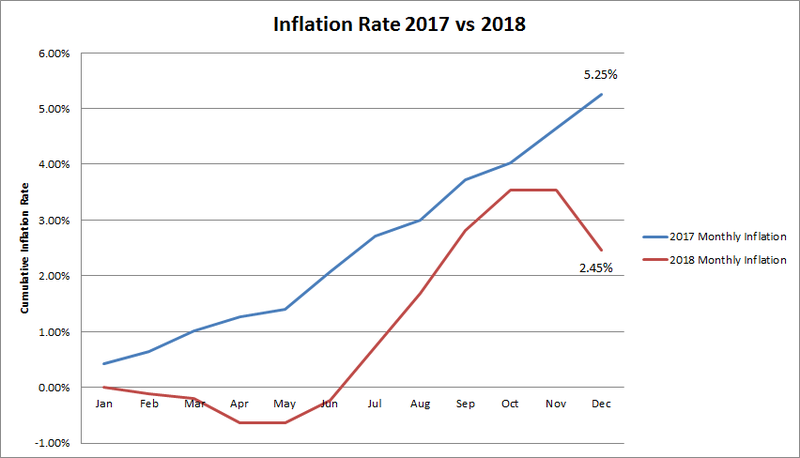 The Image illustrates the monthly changes in inflation and compares 2017 to 2018.